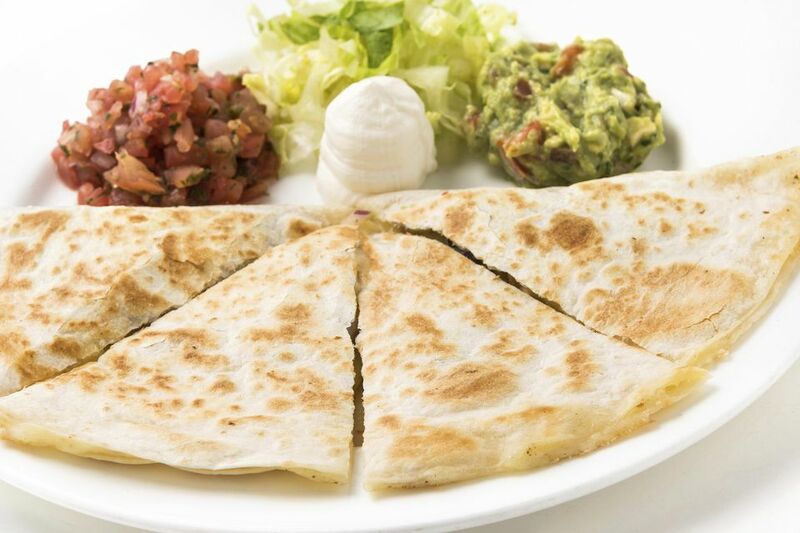 You can prepare these quesadillas ahead of time and simply grill them up when you need them. They also make a great appetizer for any party. This recipe is also an excellent way to use up leftover grilled chicken! Place chicken tenders in shallow baking dish. Pour marinade over the chicken tenders, coating completely. Cover and refrigerate 4 hours. Combine 1/4 cup water, cilantro, sliced jalapeno, lime juice and olive oil in a blender. Blend until smooth and season to taste with salt and pepper. Remove chicken from marinade and grill until cooked through, about 6 minutes. Brush the onion and eggplant with oil, sprinkle with a little salt and pepper and grill for about 4 minutes, turning occasionally. Wrap tortillas in foil and place on the top rack of the grill, while you cook the other ingredients. Mix cheeses together in a bowl. Place about 1/4 cup of cheese on half the tortillas. Top with chicken, one slice of onion and one slice of eggplant. Top with another tortilla, as you would make a sandwich. Place on grill and cook over low heat until cheese is melted and tortillas are a nice golden brown. Cut Grilled Chicken Quesadillas into quarters and serve with sour cream.